Acknowledging those who improve the lives of local youth through life-changing mentoring friendships, Family Service Agency named volunteer Mikki Andina as “Big Sister of the Year.” Mikki was chosen for her dedication to her Little Sister Emily and to the Santa Barbara County Big Brothers Big Sisters program. Mikki has a long history of caring for her community and those around her. Before joining the Big Brothers Big Sisters program in 2015, Mikki worked in nursing and volunteered as a Visiting Nurse. She supports local music organizations and has volunteered for other youth serving programs. Her time with Little Sister has changed Emily’s perspective of the world. With the Mikki’s guidance, the once shy and fearful girl has become fearless and focused. She can be seen regularly performing cello with the Santa Barbara Youth Symphony! Mikki is a mentor in an exciting extension to its popular Big Brothers Big Sisters program, the Retired Senior and Volunteer Program (RSVP) Boomer Bigs Club. FSA received a three-year Senior Corps grant from the Corporation for National and Community Service (CNCS) to recruit 225 volunteer mentors like Mikki as well as other supportive roles through the CNCS Retired Senior Volunteer Program. 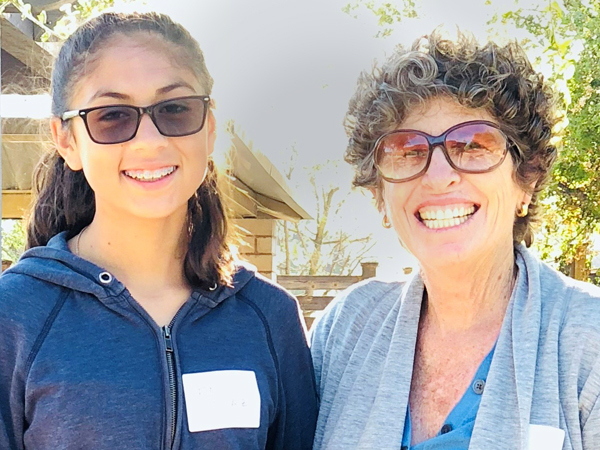 “Mentoring through our new RSVP Boomer Bigs Club program allows for volunteers like Mikki to remain connected to young people and for young people to gain from the wisdom and experience of an older adult,” said Brabo. Who can enroll with RSVP? Person’s age 55 and older who are interested in contributing their time and skills to the children of their community, can be an RSVP volunteer. There are no requirements for education, income or experience. Our staff assists volunteers to find fulfilling volunteer assignments, match interests and abilities to program needs, or learn new skills. For more information, call 805-965-1001 or sign up on our website FSAcares.org/RSVP.